Now that the CAT results are out, I congratulate the ones who have got shortlists from numerous premier institutions. Also, the ones who have messed up for any reason, my advice will be to stay calm. CAT is not the destination. My mentor used to tell me that seek for bigger things and a better plan. CAT, MBA, etc. will happen eventually. I will be sharing my not so better WAT and PI experience of IIM Lucknow. I had a few calls, and this was the second PI, I was about to face. The first one was of IIM Kozhikode which went extremely horrible. It actually seemed like that the sand of the hourglass had been congested and I was repeatedly screwed (no offence intended) by the interviewers in that period. Coming back to Lucknow, my centre was at IIM Lucknow Noida Campus. God always gifted me the morning slots so that I had to leave my hostel at 5 AM and reach every venue just on time. And the worst part was wearing formals. Engineers wore formals only during placements and on farewell. Apart from that, it was a task to carry it off. I was not wearing a suit (big blunder for some, not for me!). And yes, I carried a thick but groomed beard. I will never know whether that was a mistake or a gesture of confidence in how you carry yourself (the interviewers never told after all). But, in the FMS interview, the guy did try my patience by commenting on the beard. I secured good marks in the interview round of FMS. So, the point is, chill. Do not look arrogant and rowdy. Dress well. We ought to dress for the post we want. So, take out your creased shirts and the business suits. The first impression always matters. DO NOT take it as a game. The documents verification took a significant time – an hour maybe. I was assigned the Panel 10. The first was the WAT round. This was a tricky challenge. You get less time think and even lesser to write what you want to convey. I had a plan of linking every topic to some event or likewise. For Lucknow WAT round, the topic was (I do not remember precisely) ‘With greater risks comes greater success or greater failure’. I had recently watched the movie ‘The Big Short’. A significant part of my essay was based on the movie and some examples here and there. WAT went smooth, honestly! After a while, we were asked to assemble in a corridor, and all the panel interviews were being held in rooms corresponding to every gate. One could always sense that eerie pressure on the faces of most of the candidates. I talked to a few. A girl had Ahmedabad interview two days back. I had a thought that this must be a game for her. We learn from our mistakes after all. She had already learned from the bigger game. Some candidates had Lucknow as their only shortlist among the older IIMs. Each carried a different version of oneself, and a separate load on his/her back. Some even flunked the WAT-PI round – geniuses! Each interview took around 15-20 minutes. And I was seventh to go in my panel. Every time, someone came out, people shot questions at him. Have you ever heard what should be done when a person suffers a physical injury? Just let him breathe. Do not surround/encircle him. Get the analogy. Some interviews, the panel focused on statistics, some on GK, and some on agricultural advancements (for the ABM course). After a while, I took out my phone and logged in to a game. What? What better work could have I done there; frame answers for my favourite course in Engineering? (The Kozhikode guy had dismantled me on that question). The other girl praised me for my confidence. I wish I could convey to her my sheer helplessness. Finally, the moment had come. I adjusted my tie and combed my beard (I forgot to comb my hair!). A lady called out my name. She was my panellist, accompanied by another guy. Both were in their early forties I suppose. I was offered the seat, and then the timer began. I will not be stating down all the questions (not that I remember). I was asked about my academics at first, as to why my grades dropped in Engineering. I was dumbstruck. They had not – a straightforward challenge. The interviewer expected me to have 95% in B. Tech. as well. I told him how I shifted my focus to other things. See, the interviewer will always trap you, no matter what you say. So, learn to be patient. Thereafter, came my internship. I explained to the lady how and what I did in my internship. At the end of my monologue, she again asked how. That felt like a punch bouncing back from the wall. I gave up. The guy threw some Electrical Engineering (my profile!) questions at me. Again, it was 50-50. I could really see that chance being literally grabbed away from me. I was low on confidence. I told them about my work at the start-ups during my college. I conveyed to them my inclination towards MBA and the things I had done a priori (Thankfully, I was not asked Why MBA!). But, not even a small smile appeared on their face. It was the usual thing they heard from everyone. My interview was wrapped up, and I was about to leave. Then, I took out some books that I had brought with me. They were the nationally published anthologies of which I was a part. I gave each of the panellist one book, and then they went through my piece. Apparently, at that point in time, I could see some positivity on their faces. They did not read it after all, but yes, I guess they liked it. I was asked some questions about how I got into writing and the book-launching events. The interview re-ended, and this time there was a smile on every face. I was not given a candy (not that I was expecting one). I reached to the door and thanked the interviewers again. Other candidates did surround me and repeated the routine. But I acted blunt and left off with my bag. I folded the sleeves of my shirt, loosened the knot, collected some documents and left the campus. That marked the end of four hours for which the preparations were on from past three months. I secured IIM Lucknow’s seat in the second list. I could never figure out what went right in the interview. Was it my confidence, the strength of my opinions or was it the books? I did not think I will convert it. I was pretty sure of Indore (whose interview I gave later), but not Lucknow. So, I will suggest the candidates to think less when they face the panellists. Please, do not provide them readymade answers. You will be thrown out. Be honest and firm on your opinions. 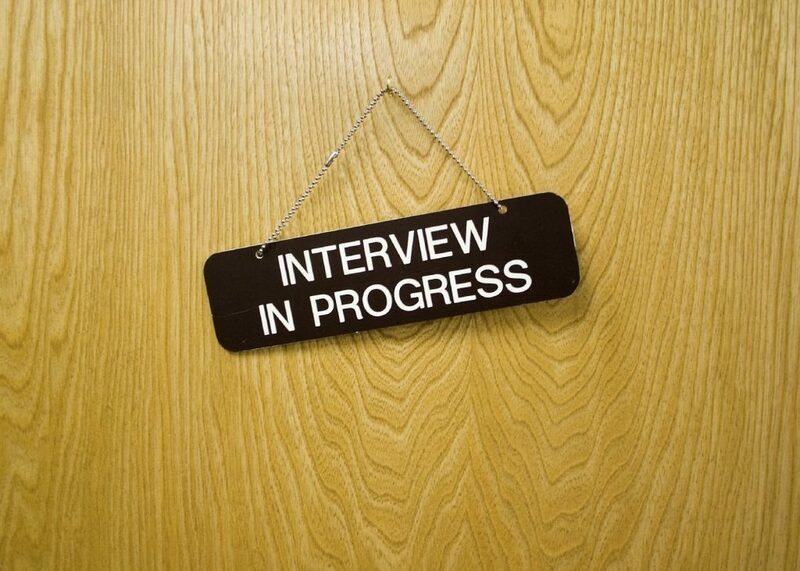 Know that interviews are taken to select you. Whatever rejections were to be done, already occurred in CAT. They will take you if you resonate with the frequency of the institution. There is nothing much you can do about it apart from preparing yourself. Be confident, and be you. That will help you to sail through the turbulent months ahead, and ultimately reach the shore of your dream b-school. Good luck aspirants! sir, please share your academic profile and also the sectional percentile..were you work ex?